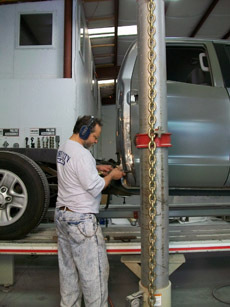 Let Port City Collision bring peace of mind to your business. We will keep your vehicle fleet looking its best with our cost-effective range of specialized services. Contact us today to discuss the best options for your business. If your business has a fleet of vehicles on the road, you will eventually need body repair that you can count on. That’s why Port City Collision is proud to offer fleet services. A cost effective long-term solution, you will be glad to know that a professional relationship with Port City collision will keep your vehicle fleet looking and driving as professional as it should be. Talk to us about your fleet servicing needs and we’ll work with you to create a plan of action. Do you have any photos of the damage?